Live Wire is a high energy 8 piece dance cover band with horns playing tunes from the 70's to current. Live Wire's music features artists from KC & the Sunshine Band, Commodores, Earth Wind & Fire to Justin Timberlake, Maroon Five and Bruno Mars. 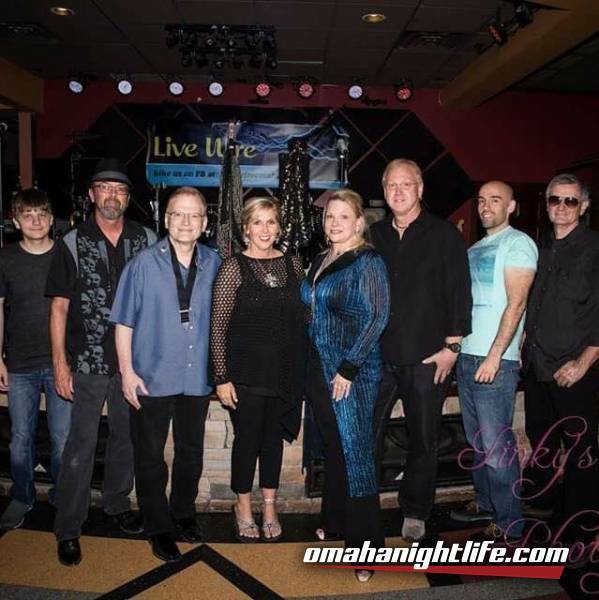 Live Wire band consists of 2 Lead Female Singers-Stacey Smith and Teri Kyncl-Faulkner (Zach), Lead Guitar-Dave Kentopp, Bass-Alex Hebert, Drums-Jamey Pandis, Saxophone/Flute-John Carlotto, Trumpet-Mike Brownson and Keyboard-Mike Morris. Live Wire's band members have over 100 years of combined live performance experience and have played in multiple bands over the years in the Omaha and Lincoln areas. It doesn't matter what age you are, you will want to get up and dance.